Nikon produced various accessories for its cameras and lenses. Tripods are unknown, however. A little monopod is known, but it is not sure whether this was produced to be used for cameras. 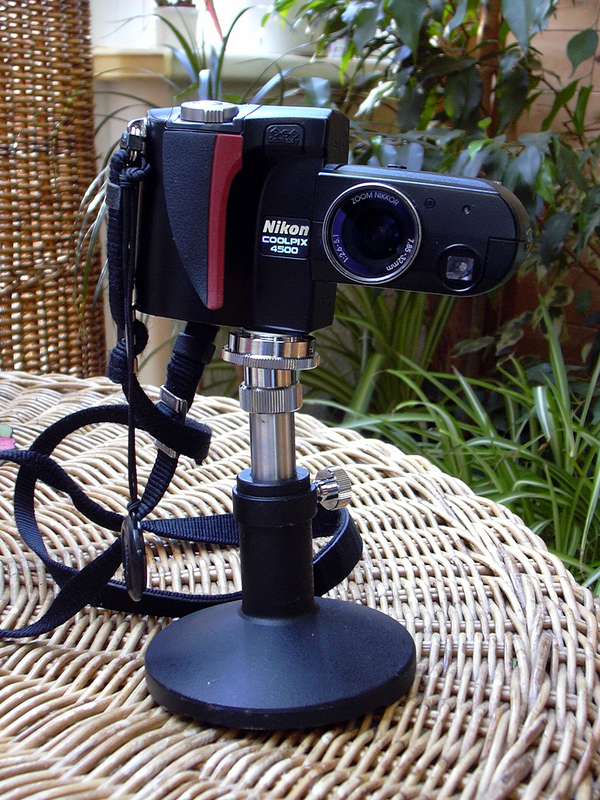 A Coolpix 4500 mounted on a rather rare Nikon monopod with adjustable support. Only on the top 'Nikon' is engraved. Below a Nikon mini-tripod for the Keymission 360 camera. Does it look like the Manfrotto 482? Yes it does! 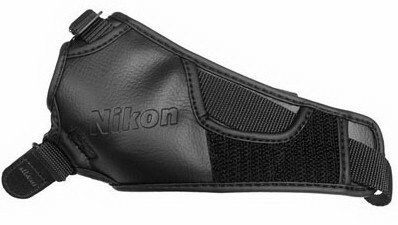 In the early 1980's Nikon introduced several grips and straps for its SLR cameras, giving them the code AH (= hand straps). Most leather or textile camera straps have the code AN (neck straps). As there are so many of them - in various shapes - they are not listed here. Most of the textile straps had/have the camera code printed or woven on them. Nikon AH-1 is a leather strap with metal plate to be screwed under a motorized Nikon F or Nikon F2. 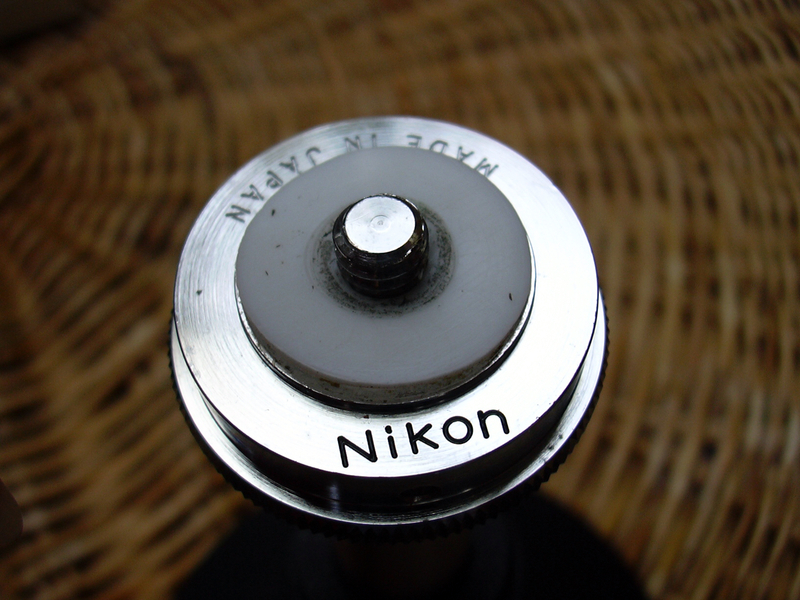 Nikon AH-2 is a strong metal plate to be screwed under a camera or motor drive body. Especially for those bodies that do not have a tripod connector in the middle of their base plate. 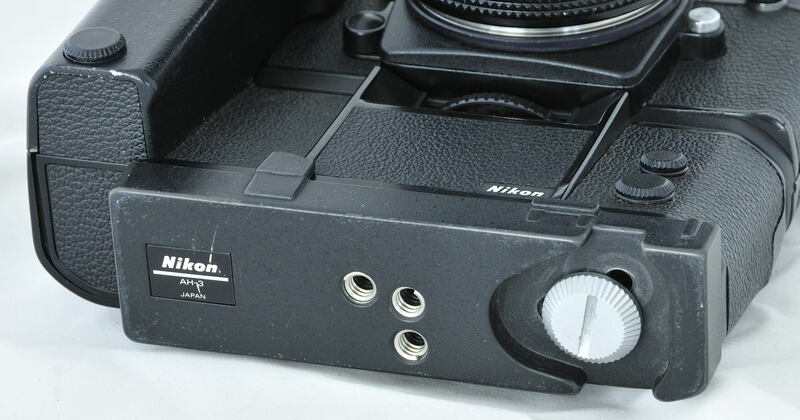 Nikon AH-3 is a similar base plate for the Nikon MD-4 motor drive. 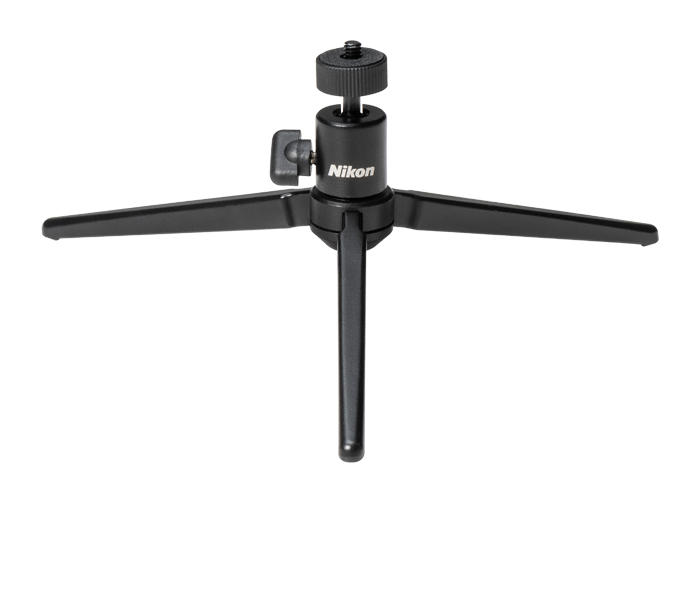 It can also be used on the Nikon MD-11, MD-12, MD-15 and various Nikon SLR cameras with a tripod connector out of the center on their base plate. 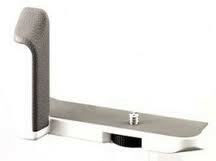 You may chose out of three positions and you take out the inner-thread to mount it on a wider tripod screw. Nikon AH-4 is a leather strap to be connected to the tripod connector of a camera body and one of the strap lugs of that body. Nikon AH-5 is a little tripod spacer (block) to be placed between a tripod head and a camera body or lens. The Nikon GR-N1000 is a grip to be screwed under the Nikon 1V1-series camera; his 'brother' Nikon GR-N2000 will fit the Nikon 1J1-series. The GR-N1010 is for the Nikon 1V3, the GR-N2100 is for the Nikon 1J3 and S1, while the GR-N6000 will fit the Nikon AW1.